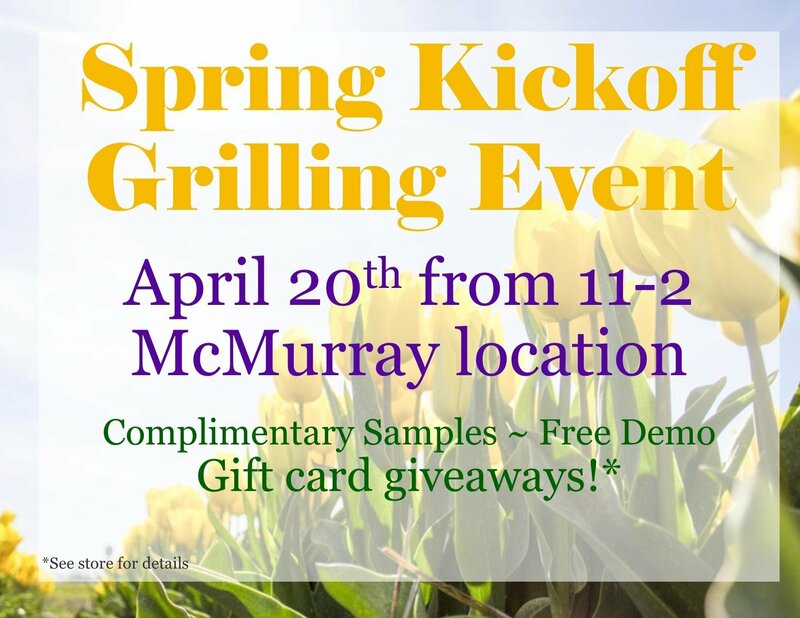 Join us on Saturday, April 20th from 11am – 2pm at our McMurray location for the first grilling event of the year. We will be demoing our grills and serving some samples to show you the unique foods that can be made on a grill. There will also be giveaways and deals you do not want to miss.